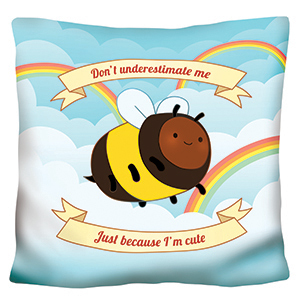 Don't Underestimate Me Pillow: An Adorable Fuzzy Plush to Snurfle and Squeeze! You are small and cute. But that doesn't mean you're not mighty! You can pollinate an acre of flowers in a single day! You can create gallons of honey with your wiggly little hands! You can sting attackers into submission...with your sharp wit! 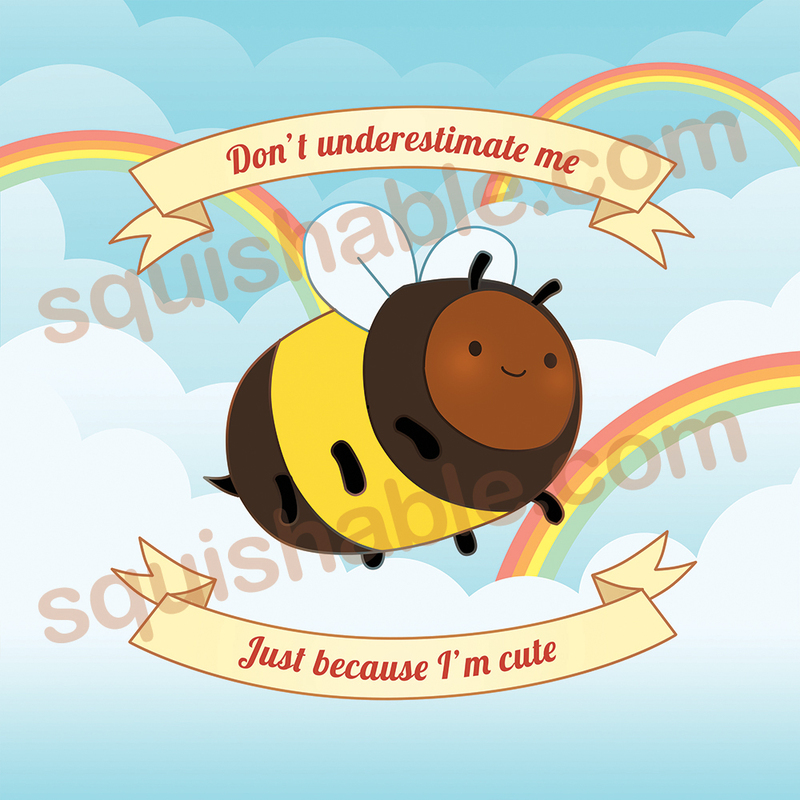 Don't let the detractors get you down - you are one ferociously cute bee!